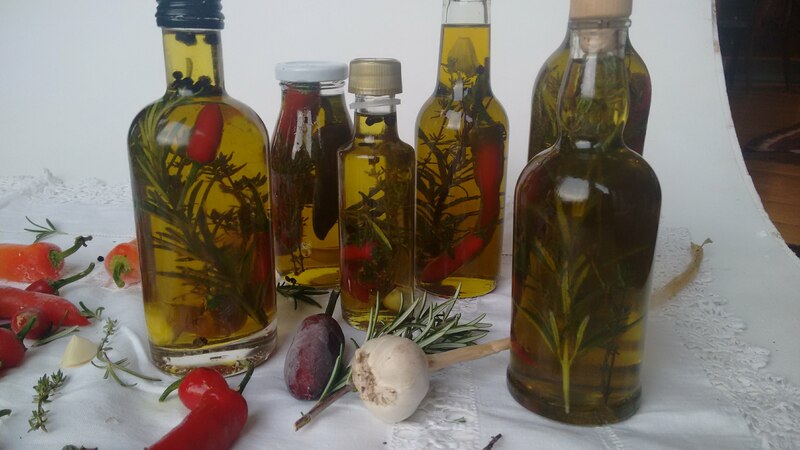 For a foodie, what could be nicer or easier than a bottle of special oil as a gift? This tastes great and looks really pretty in the bottle. 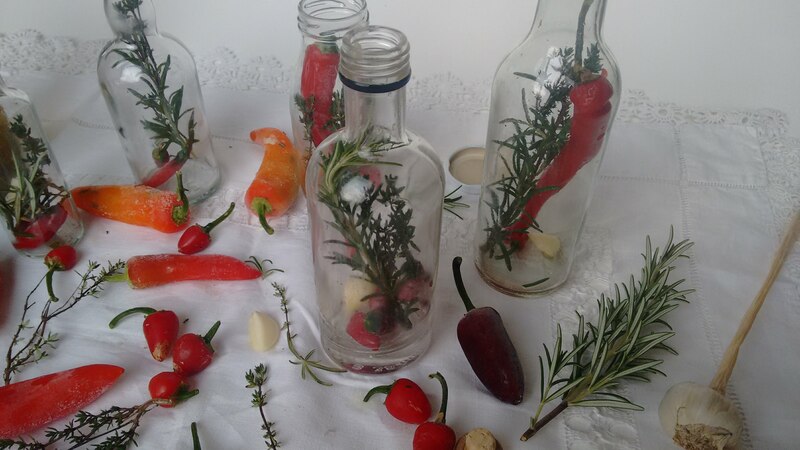 Simply add sprigs of thyme and rosemary along with chillies of different sizes, a peeled clove of garlic and some peppercorns to the bottles before topping up with some extra virgin olive oil. 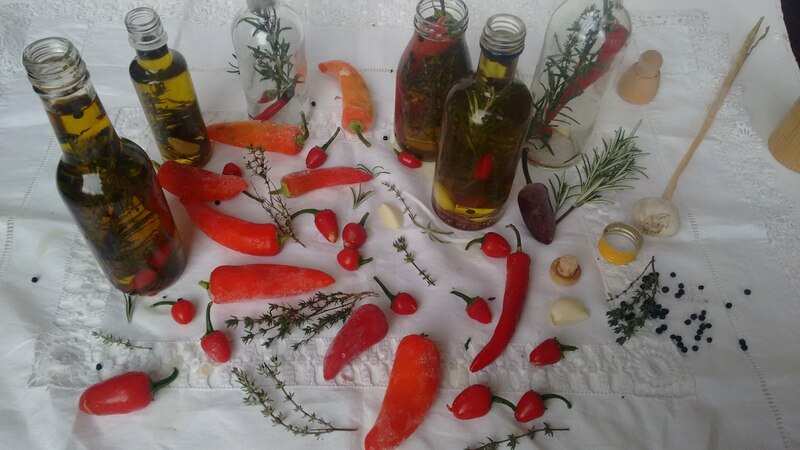 Make sure to prick the chillies before they go in so they release their spice into the oil.